What happens when I go for a contact lens fitting? 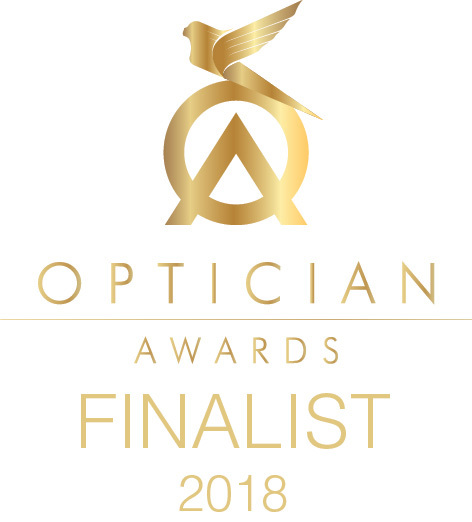 Every patient wishing to be supplied with contact lenses requires a specialist contact lens consultation in addition to the eye examination even if they are longstanding wearers. This is to discuss the individual visual and lifestyle requirements and to ensure that the eyes are healthy. Before trying contact lenses we will take a series of special measurements to ensure the best possible fit. Contact lenses are then tried with further assessments of vision, comfort and fit to decide on the best type. Complex contact lenses for astigmatism, kerataconus or presbyopia (bifocals and multifocals) may have to be specially made. Nowadays, almost everyone can benefit from contact lens wear. Most eyesight problems can be corrected with contact lenses and advances in lens materials and solutions mean that wearing contact lenses is simpler, more convenient and more comfortable than ever before. With modern lenses, there’s no reason why age should be a barrier. Research has shown that children can be very successful and benefit from contact lens wear and for older wearers there has never been a wider choice of bifocal and multifocal designs. Soft lenses, rigid gas permeable lenses and bifocal or multifocal lens designs are available to correct almost all prescriptions, including astigmatism. I've tried contact lenses before without success. Should I try again? Yes. Research has shown that many people who previously gave up contact lens wear can be successful with modern lenses that are constantly evolving to offer superior vision, comfort and ocular health. Can I try contact lenses before I decide whether to wear them? Several contact lenses are available to ‘try before you buy’. However before you can take them away, you’ll need to have a fitting consultation and learn how to insert, remove and maintain them. Once you’ve worn the lenses, you’ll need to attend to have the health of your eyes checked and the fitting completed. Specially made lenses are not available on a trial basis, although most designs are available with exchange options. What type of contact lenses should I wear? Our contact lens specialists will help you decide on the best type of lens to suit your lifestyle, wearing time and visual requirements. Can I wear contact lenses for sport? Yes, contact lenses have many advantages for sport because they provide all-round, natural vision, are more stable than spectacles and are not affected by rain, fog or reflections. Will I still need to have glasses? Yes. You’ll need to have an up-to-date pair of glasses to wear when you remove your lenses. You may want to combine different types of vision correction to suit your eyesight and lifestyle. And you may also want to have sunglasses to wear with your contact lenses. The cost of contact lenses varies according to the lens type and the frequency of wear. Remember that you will need to pay for check-ups as well as for lenses. Are contact lenses comfortable to wear? Yes. Contact lenses can provide excellent comfort and vision. People often forget they’re wearing them. Are contact lenses hard to put on and take off? Inserting and removing lenses takes some practice but soon becomes quick and easy. Many people are concerned about a lens touching their eyes when first putting them on but are still very successful contact lenses wearers. How can I tell if there is a problem with my lenses? If your eyes are red or uncomfortable or if your vision is blurred leave your contact lenses off and come for a consultation. If you have severe pain or visual loss you should be seen very urgently. Can a contact lens go round the back of my eye? The outer coating of the eye is continuous with the inner coating of the eyelid. If a lens is dislodged from the front of the eye it may settle under the upper or lower lid but cannot go behind the eye. I suffer from dry eyes / allergies. Can I wear contact lenses? Most people with dry eyes and allergies can successfully wear contact lenses for at least some of the time. Our contact lens specialists will advise on the best choice of lenses, and, where necessary, appropriate medication. Can I re-use my disposable lenses for longer than it says on the box? No. Comfort and performance will be affected if you extend the life of your lenses beyond the recommended replacement interval. Wearing dirty or damaged lenses can put your eye health at risk. Can I wear my contact lenses overnight? Only lenses approved for ‘extended’ or ‘continuous’ wear can be worn during sleep. Sleeping in contact lenses greatly increases the risk of eye infection irrespective of lens type and for that reason we do not usually recommend it. Patients who ‘need’ to wear contact lenses overnight require careful monitoring and regular aftercare appointments. I've heard about lenses that are worn during sleep and not during the day. What are these? Orthokeratology (‘ortho-K’, ‘corneal reshaping’ or ‘overnight vision correction’) uses specially designed rigid gas-permeable (RGP) contact lenses to alter the shape of the cornea during sleep. These lenses are designed to be worn overnight and removed in the morning to correct vision without the need for spectacles or contact lenses during the day. Can I buy cosmetic/coloured/fun lenses? At Zacks London eye clinic we fit a variety of cosmetic and prosthetic contact lenses for film and TV productions as well as to help patients hide disfiguring eye conditions and for those who simply want to change the appearance or colour of their eyes for special occasions. Cosmetic lenses, even without prescription require the same degree of care as any other lenses and can only be supplied following a fitting consultation. Can I wear my contact lenses for swimming? The BCLA (British Contact Lens Association) advice for contact lens wearers is to not wear contact lenses for swimming – or in hot tubs or whilst showering or participating in water sports – unless wearing tight-fitting goggles over the top. After swimming – or if lenses are removed and stored whilst swimming – contact lenses should be cleaned and disinfected in fresh solution before putting them back on the eyes. The BCLA recommendation is that regular swimmers talk to their eyecare practitioner about being fitted with daily disposable lenses for use with goggles whilst swimming. Wearers of daily disposable contact lenses should always discard them immediately after swimming. Can I use any solution with my contact lenses? No. Different solutions contain different ingredients so it’s important to follow the advice of your optometrist and only to use the solutions recommended for your particular lens type. Never allow tap water, or any other type of water, to come into contact with your lenses. How can I tell if my soft contact lenses are inside out? Hold the contact lens on the tip of your dry finger. If the lens turns slightly in at the edges it’s the correct way around – if the edges turn slightly out and the lens looks unusually flat it’s inside out. Some lenses have inside-out indicators to help you. A lens that’s inside out will generally feel slightly uncomfortable on the eye and will move more than usual.